With this month’s Product of the Month, one being the Indique Hair Care Essentials French Argan Oil, we were inspired to share information on the benefits of Argan Oil on the hair and scalp, its healing properties, and unique qualities. Argan oil is processed from un-roasted kernels. These kernels are extracted using a cold-pressed process to yield organic argan oil, or using chemical extractors. The cold pressed, unfiltered argan oil is the one which is best for hair and skin care. · Emollient – It is a good moisturizer. · Cicatrizant – It is an excellent wound healer. · Anti-Sebum – Studies have shown that applying cosmetic grade (topical) argan oil twice daily for a month reduces the amount of sebum ( the natural skin oil ). As a result, oiliness and acne can be suppressed naturally. · Anti-aging – Applying argan oil regularly on the skin can help to keep skin firm and healthy. · Antioxidant – It is an excellent antioxidant and reduces free radical damage both externally and internally. · Hypolipidemic – Improves the lipid profile. · Antiatherogenic – It prevents the formation of atheromatous lesions in the blood vessels and contributes towards keeping the cardiovascular system healthy. Argan oil is high in fatty acids (great for scalp and hair) and low in comedogenicity (pore-clogging), meaning it should always easily absorb into the hair and skin for maximum benefit. 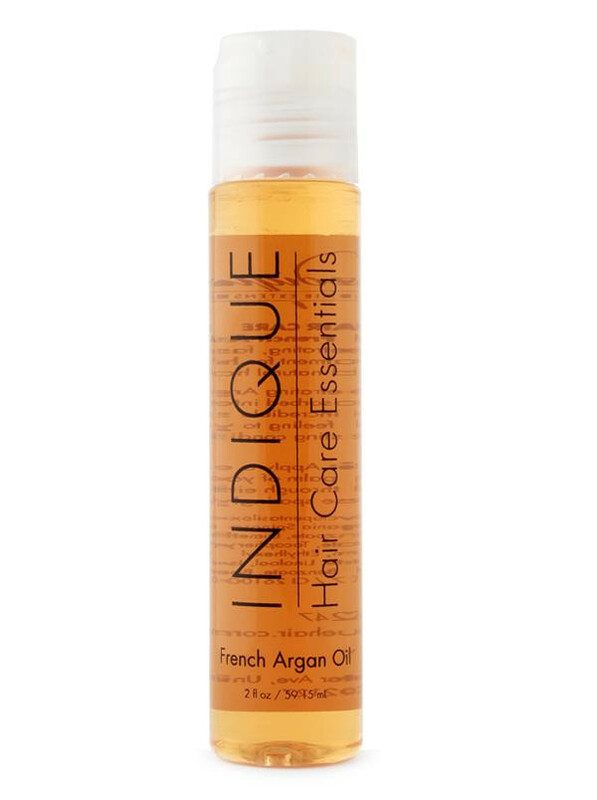 Of course, the Indique Essentials French Argan Oil is mixed with other ingredients and specially formulated for hair, and hair only.